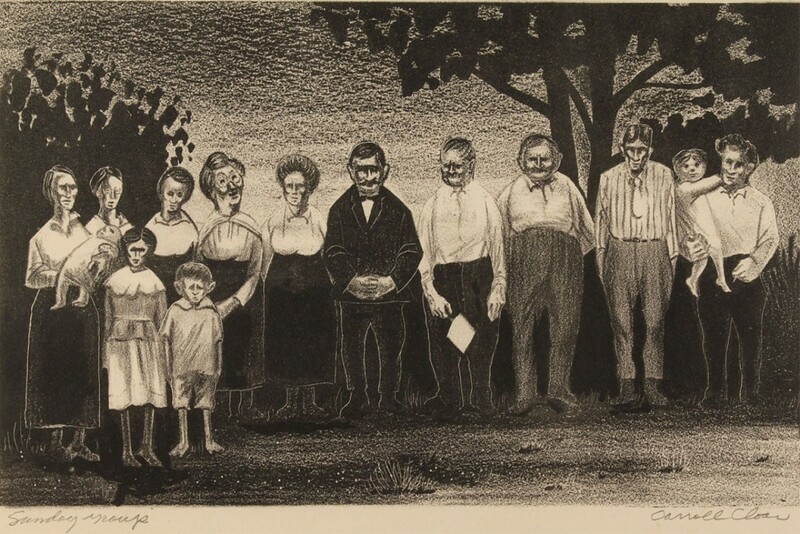 Carroll Cloar (Tennessee, 1913-1994) lithograph titled “Sunday Group”, signed in pencil lower right. 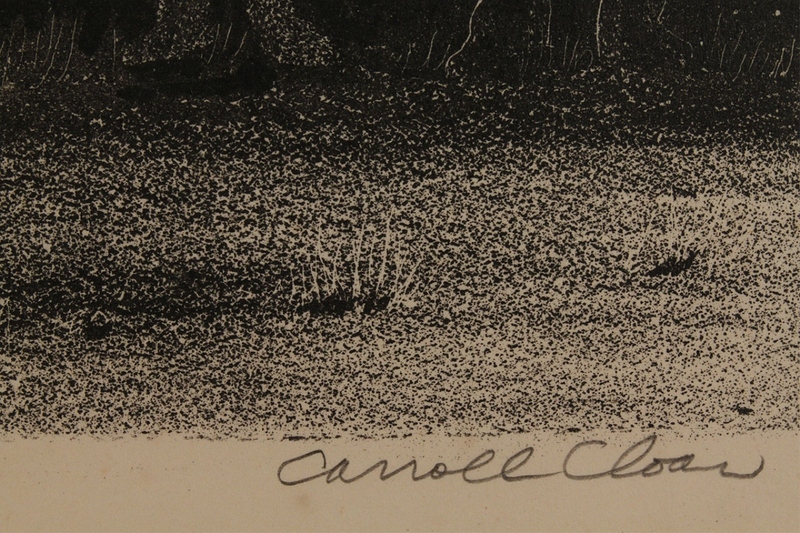 Contemporary black wood frame. 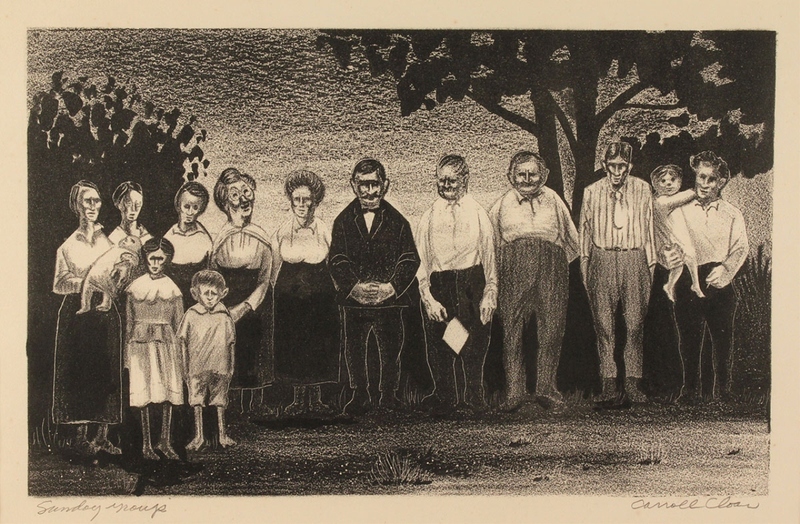 Sight: 8 1/4″ x 12 3/8″. 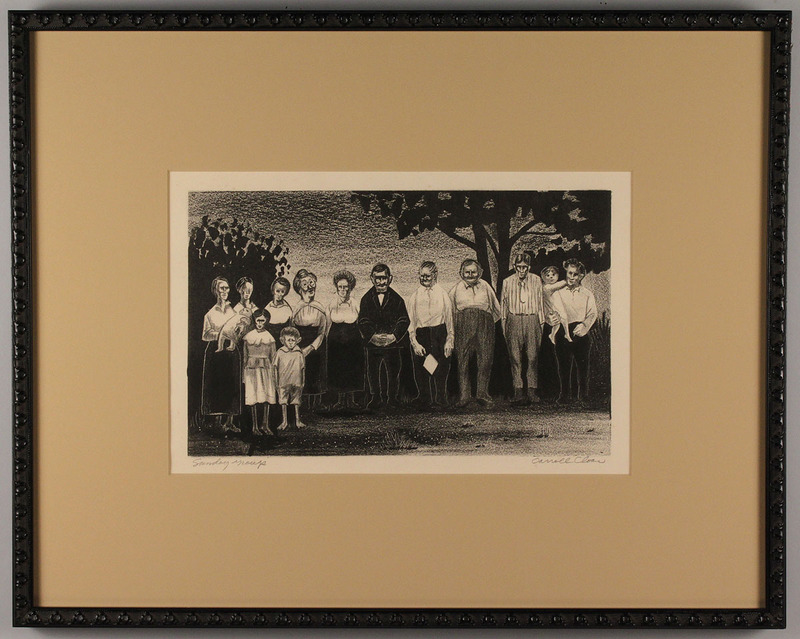 Framed – 17″ H x 21 3/8″ W. Provenance: Estate of A. Welling LaGrone Jr., Nashville, Tenn., ex-Dr. Benjamin H. Caldwell. 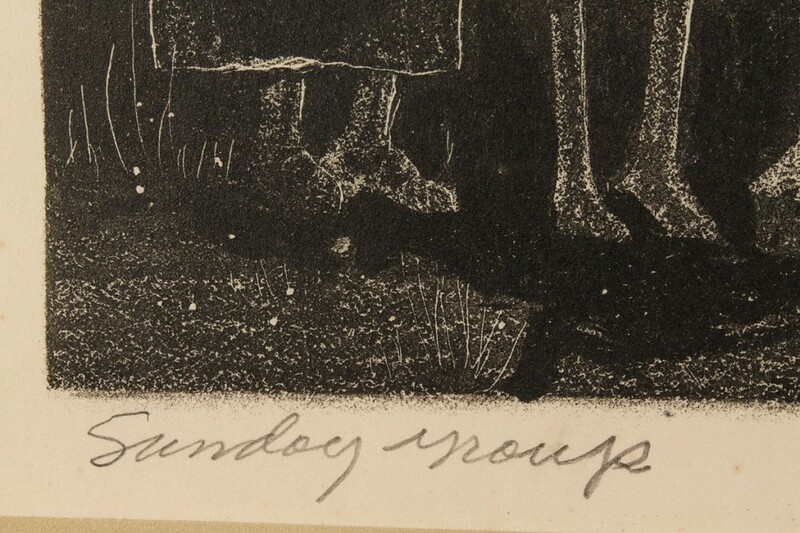 Condition: Corner crease upper right and lower left, light toning.